This hard polycarbonate rear window keeps the dust down and wind at bay inside the rider area. Simple mounting and market-leading features like rubber dampeners and polycarbonate materials provide excellent protection from the elements at an outstanding value. Highly recommended to be used in conjunction with accessory Folding Windshield and Soft Side Covers for maximum weather protection (both sold separately). 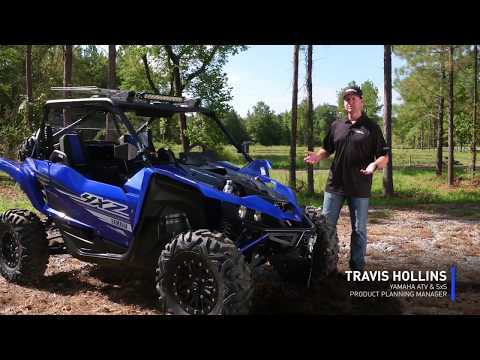 The YXZ1000R™ Folding Windshield provides protection and versatility for changing weather conditions all thanks to its convenient folding design. Fold the hard-coated polycarbonate panels up, down, or simply tip-out for various climate conditions.